Everybody’s familiar with the usual way of formatting text in a traditional word processor, but have you stopped to think about how laborious the process normally is? If you want to make a word italic, your hands come off the keyboard and one hand moves to the mouse. Using the mouse, you click and drag the cursor over a word (or double-click on the word) to highlight it, then move the mouse cursor up to the top of the screen to click on the “italicize” button along the toolbar. To create a footnote, your hands again leave the keyboard, you move your mouse cursor up to an “insert” pull-down menu, select “footnote,” which brings you down to the bottom of your page. 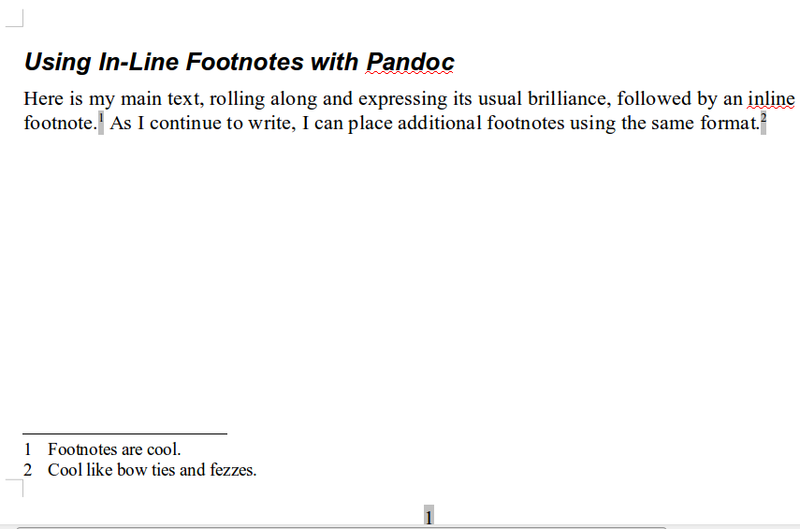 You type the footnote, then scroll back up to where you were originally working in your document. Not a big deal once or twice, but such operations, when repeated over and over, actually consume a lot of time and break the flow of your thinking. What if there were a way to perform all those operations as you go, simply by typing normal keyboard characters? Your hands would never leave the keyboard, and the mechanics of your software wouldn’t interrupt your train of thought. This is where Markdown Syntax is a godsend. ### One for a level-one heading, two for level two, etc. - simply indent the hyphen four spaces. >Putting a "greater than sign at the front of a paragraph of text will indent the whole thing as a nice block quote. 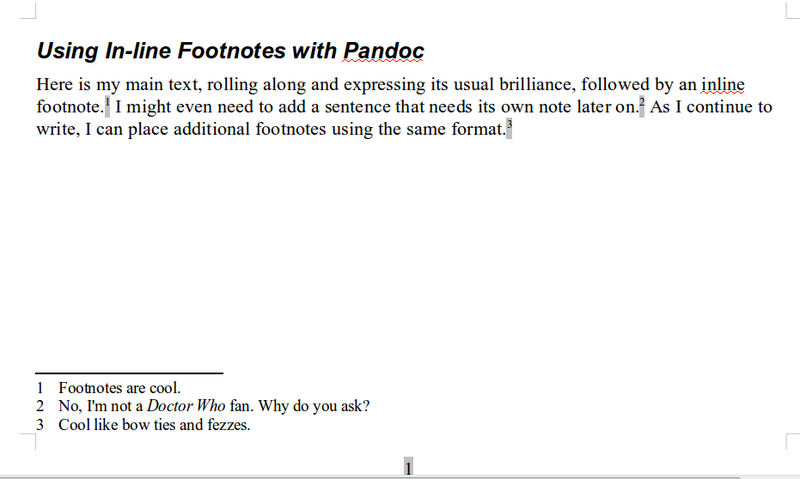 [^1]: Here's our actual footnote. Here’s the magic. 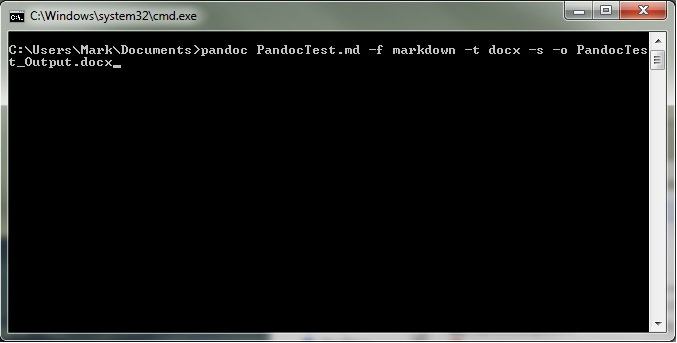 When you type a plain-text document using markdown syntax, it looks like this above. Once you’re done composing, however, you run your file through another piece of software that interprets your markdown and uses it to format a final document in the form of your choice, be it a word file (.docx), a PDF file (.pdf), a Libre/OpenOffice file (.odt) or a web page (.html). One for a level-one heading, two for level two, etc. simply indent the hyphen four spaces. This is the link text. Putting a “greater than sign at the front of a paragraph of text will indent the whole thing as a nice block quote. Pretty sweet, huh? The beauty of this system is that all of your formatting happens in-line with your prose, which means that including it doesn’t interrupt your thinking. And, as I’ve mentioned in previous installments, when you edit and move things around, your formatting code moves in a natural, visible way (as opposed to all that messy underlying code in Word that seems so bent on destroying both your formatting and your sanity). Fire up the new text editor you downloaded in the previous lesson. Using the above formatting as a guide, do a little of your daily writing (some notes, a journal entry, some freewriting, an email, or whatever) using markdown syntax for formatting. That’s it for this lesson! Have fun experimenting with the syntax, and notice how much word-processor fussing it removes from your writing process. In the next lesson, I’ll show you how to convert your markdown to beautiful, fully-formatted Word, OpenOffice, or PDF documents. If the first segment of this series convinced you–as I hope it did–that working with plain-text tools might be worth exploring, the next step is to get yourself a brand new text editor. They’re lightning fast, even on older hardware. No whirring hard drives or laggy performance gets in the way of your thought process. 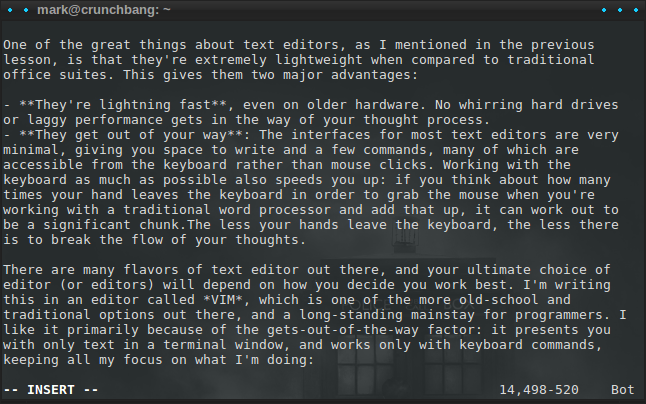 They get out of your way: The interfaces for most text editors are very minimal, giving you space to write and a few commands, many of which are accessible from the keyboard rather than mouse clicks. Working with the keyboard as much as possible also speeds you up: if you think about how many times your hand leaves the keyboard in order to grab the mouse when you’re working with a traditional word processor and add that up, it can work out to be a significant chunk.The less your hands leave the keyboard, the less there is to break the flow of your thoughts. There are many flavors of text editor out there, and your ultimate choice of editor (or editors) will depend on how you decide you work best. I’m writing this in an editor called VIM, which is one of the more old-school and traditional options out there, and a long-standing mainstay for programmers. I like it primarily because of the gets-out-of-the-way factor: it presents you with only text in a terminal window, and works only with keyboard commands, keeping all my focus on what I’m doing. The VIM editor running in a terminal. Nothing but the words. The initial drawback of VIM, however, is that there’s a bit of a learning curve involved, since one needs to learn a lot of keyboard commands that make writing faster in the longer term, but not the shorter. 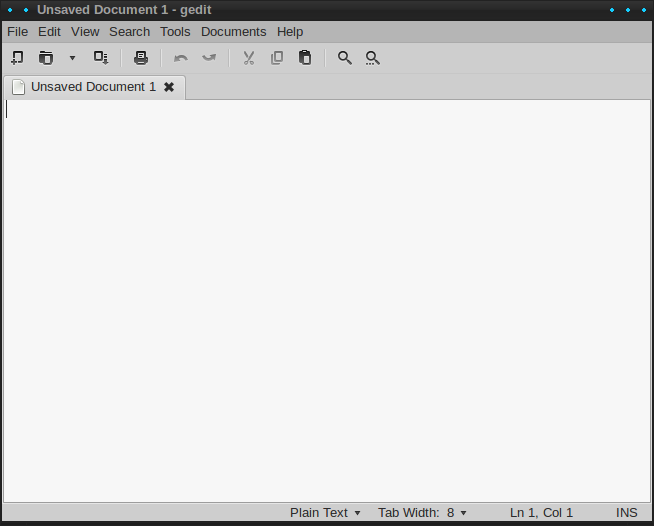 So, for our purposes we’re going to start with something that’s geared more toward writers and more intuitive to use, an editor called Gedit. It’s available for all three major platforms (MacOS, Linux, and Windows), it’s free, and it’s intentionally designed to be as simple as possible. So, your first lesson is to download, install, and spend a little time playing with Gedit. There are many different text editors out there, all geared toward different kinds of users and tasks, some more fancy than others. Gedit gives us a good starting point with its balance of simplicity and functionality. For Windows, go here, and click on the file with the .exe estension. Double-click on the file and follow the prompts. For Mac, go here, and click on the file with the .dmg extension. For Linux, if you’re using Ubuntu, Gedit is already installed, just access it from the menu or open a terminal and type “gedit.” For other distributions, just use your distribution’s package manager. What you’ll see the first time you open Gedit. Clean lines and no fuss. That’s it! There’s nothing else to do, at this point, but play around with writing in that nice, clean interface. You can save your documents just as you would with any word processor. 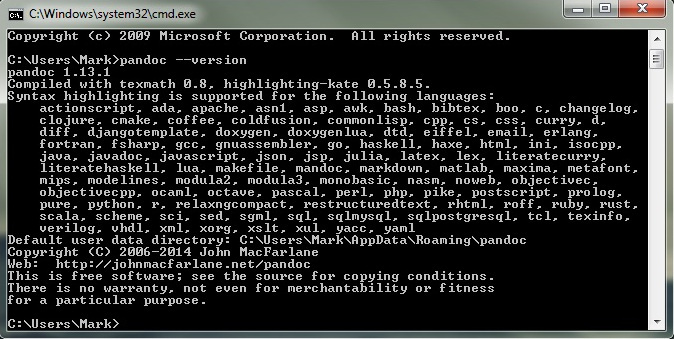 When you first save a file, it’s good practice to give your filename a .txt extension. Note that you can have multiple documents open simultaneously and switch between them by clicking on the tabs at the top of the writing area. You can also click “view” and then select “side panel” to open a side panel that will show your list of open files. Click the tab with what looks like a file cabinet at the bottom of that panel, and you’ll get a directory tree (very handy for working with multiple files at once). If you want to make the interface a little easier on the eyes for longer writing sessions, you can change the color scheme and font it uses (note that this will have nothing to do with determining the font in your final output document; this is just about using the font that’s most attractive to your eyes while composing). Just click on the “edit” menu, select “preferences,” and then the tab for “fonts & colors.” You’ll get a list of several preset color schemes (I like the “oblivion” scheme, which gives you gray text on a black background). If you want to change the font, uncheck the checkbox that says “use the system fixed width font.” The otherwise grayed-out pull-down menu for selecting the font and size of your text will become active, and you can choose any font you like. That’s all for now! Have fun playing with Gedit! Next time, we’ll look at the elegant MarkDown syntax, the most important “power tool” for plain-text writing. If you run into any problems of have questions, feel free to contact me in the comment section. Inspired by a conversation with some of my advanced literature students, I offer, here, a short set of tutorials for writing productively (especially as an academic) using plain-text tools. Unlike most of the online resources on this subject, this series of tutorials is designed for the non-techy writer who doesn’t have a lot of time. The lessons are desgned to to be extremely simple, even if you’re a technophobe, and take only five to ten minutes to complete. By the end of the series, you’ll be up and running with a digital writing process that gets the technology out of your way and puts your creative process first. Lesson One: Why Plain Text? I’ll admit it, I’m a tech nerd. Or, at least, as much of a tech nerd as one is likely to find in an English department. As I mentioned in my previous post, I think medievalists bring a kind of historical awareness to tech that allows us to see it more as a collection of useful functions–where novelty isn’t necessarily the only value–than a progressive march toward perfection. This approach allows us to ask not “what’s the newest thing?” but rather “what’s the best technology for the job?” in an awareness that the best tool for the job might potentially be a very old one. One thing scholars in the humanities do all the time is write, and taking my “medievalist mind” to the available technologies for doing that has helped me light on some tools for supporting my writing that are in some ways older and less “high tech” than other options. For the same reason, however, they are also more stable, more sustainable, and (with a little practice) faster and easier to manage than traditional electronic writing with a word processing suite such as Microsoft Office. 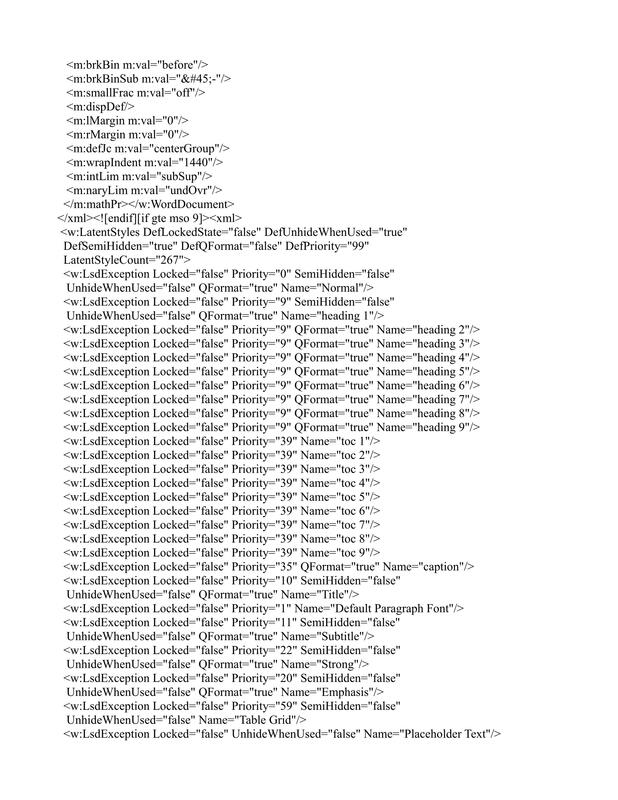 The image you’re seeing is only one out of nine pages of code Word generates to display that single sentence. Hence the reason Word tends to misbehave, and misbehave more the more you work with a document. 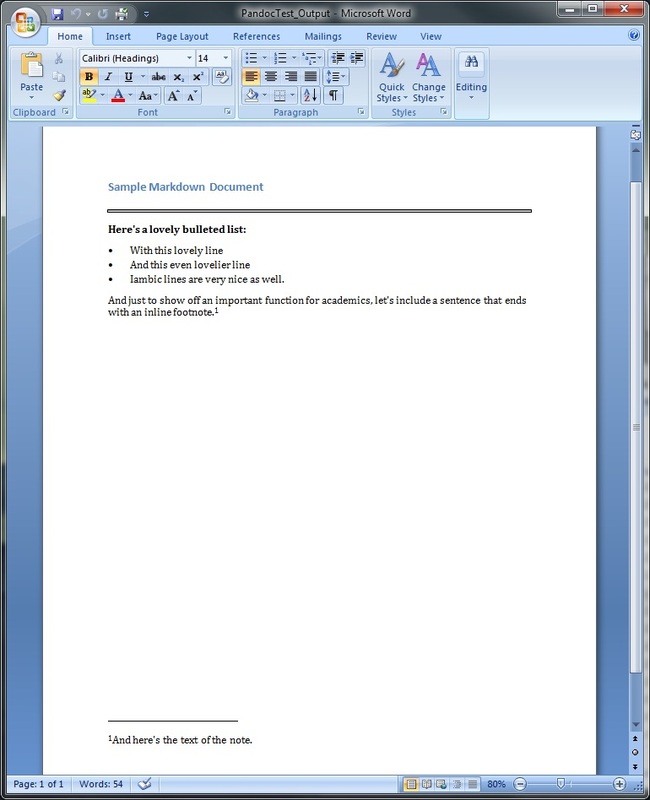 As you add edits, elements such as notes and images, copy text from other sources, rearrange blocks of text–in other words, most of the things an academic does with documents all the time–the more of that code is inserted, the more random and redundant strings of code interact and conflict with one another, and the more complex and unwieldy the document becomes. No wonder your document starts behaving as though it’s possessed by something unholy. This is a simple sentence in plain text. contains only the characters you typed, nothing else. If you make edits, rearrange things, paste in text from elsewhere, make lots of revisions over time, add sources, etc., you’re only rearranging and adding your text. Where a graphical Word processor might boast that “what you see is what you get,” a text editor can boast “what you see is what is there.” Nothing is hidden. It’s compatible with everything. You can edit plain text files on any device, with any simple text editor. You can work on your writing on any computer, your tablet, or even your phone without screwing up any formatting in the process. It’s sustainable over time. As mentioned above, plain text doesn’t add tons of behind-the-scenes code the more you work with a document, so you can say goodbye to Word’s shenanigans. It’s also true that popular file formats change over time: if you wrote documents in something like, say, WordStar years ago, those documents take a lot of doing to access these days. Plain text documents have always been, and will aways be, universally accessible. You can focus on your words. Word tends to be so complex, and presents you with such a dizzying arrange of options (most of which you don’t need unless you’re a massive insurance corporation) that the tool itself can distract from your writing. A simple text editor removes all that nonsense–it’s just you and your words. You have more control over formatting. The basic idea behind a plain-text workflow is that you do your composing with a text editor in a sustainable, unversal format, and then, only when your text is ready to send somewhere–say, to a journal for publication–do you worry about formatting. We’ll cover how to make this work in later posts, but for now, imagine this: you’ve written an article as a text file. That file contains only universal formatting for everything–subheadings, footnotes, citations, etc. To format the file for different venues, you use another piece of software to convert that document into any format you like. One journal wants the document submitted as a Word document with citations in MLA style? 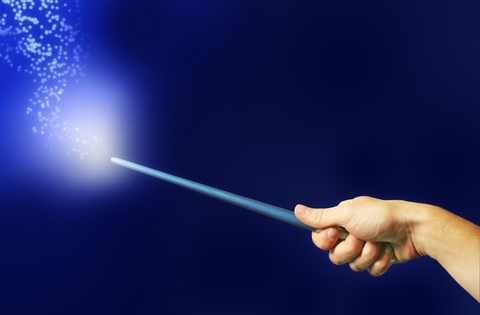 You simply tell your conversion software that’s what you want, and, with a few keystrokes, ZAP! You’ve got a properly-formatted Word document ready to go. Another journal wants the same article submitted as a PDF with footnotes using the Chicago notes-bibliography style? A few more keystrokes and voila! Need to make some substantial edits after a peer review? Make those edits in the original text file and avoid all the formatting shenanigans your word processor always gives you. It’s blazingly fast. Text editors are tiny pieces of software compared to word processors, so they start instantaneously, load documents almost instantly, and run like lightning even on old hardware. Nothing gets between you and your words. In the end, the best thing about working with plain text is that it’s a technology that gets out of your way, allowing you to think and compose without distraction. Convinced? If so, stay tuned for the next lesson, in which we will download and get started with some elegant text editing software.